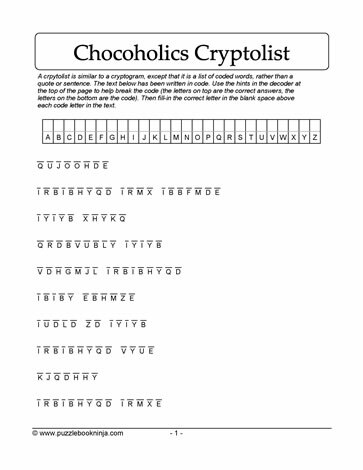 Chocolate vocabulary cryptolist puzzle. Because there is no word bank, the brain will be challenged by deciphering the letter substitutions required to solve this downloadable printable puzzle. Challenge family and friends to see who can be the first person to solve this cryptogram like puzzle.